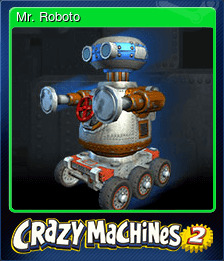 Crazy Machines 2 | Steam | Earn Points for Free Games! 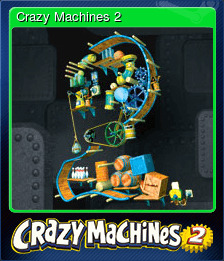 Crazy Machines 2 is packed with all new features to help you create your wackiest "Rube Goldberg-style" contraptions yet! All new elements, plus an amazing 3D physics engine lets you craft even more complex gadgets and effects. 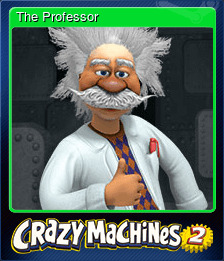 Go on tour with the crazy professor and put your skills to the test with challenges from around the globe. Travel, from the bazaars of Egypt to the white sands of the Caribbean, then blast off into space for an out of this world gaming experience. 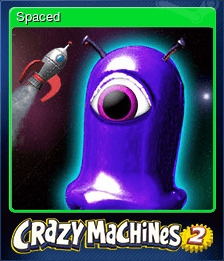 Check out the crazy machines community online! Post machines you've created and download those made by others. Compete for tropies and high ratings. Over 150 elements to create and destroy through 200 levels! 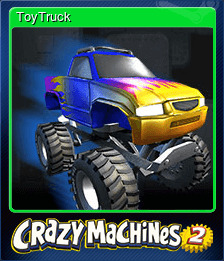 All new parts: amazing lightning machines and laser beams! 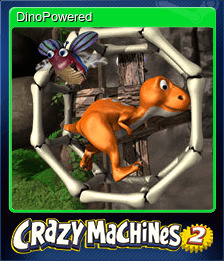 Incredible 3D graphics with brand new effects! 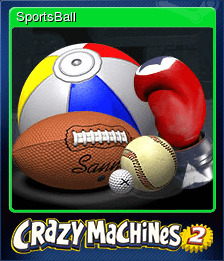 Crazy Machines 2 will be purchased for 6570 points.